The revolution has got to start somewhere and why not with milkmen? Milkmen and their floats, the jingle of bottles, provisions for the nation. Come on, milkmen, let’s get it on. 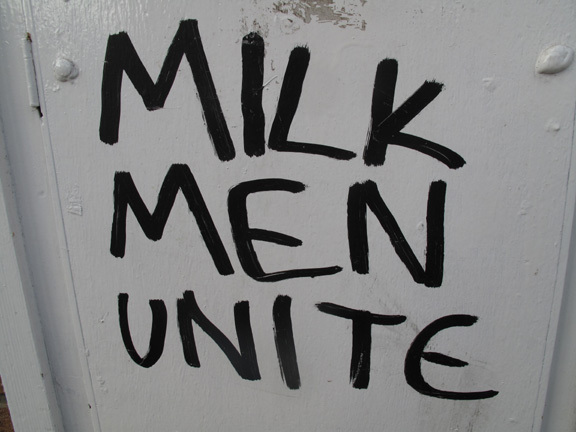 This entry was posted in Uncategorized and tagged milk men, Milkmen, south London, street photography. Bookmark the permalink.